"...the most wonderful mass aerobatic manoeuvre ever witnessed at Farnborough (or, we are moved to declare, elsewhere)." - Flight magazine on the 22-Hunter loop, 2nd September 1958. 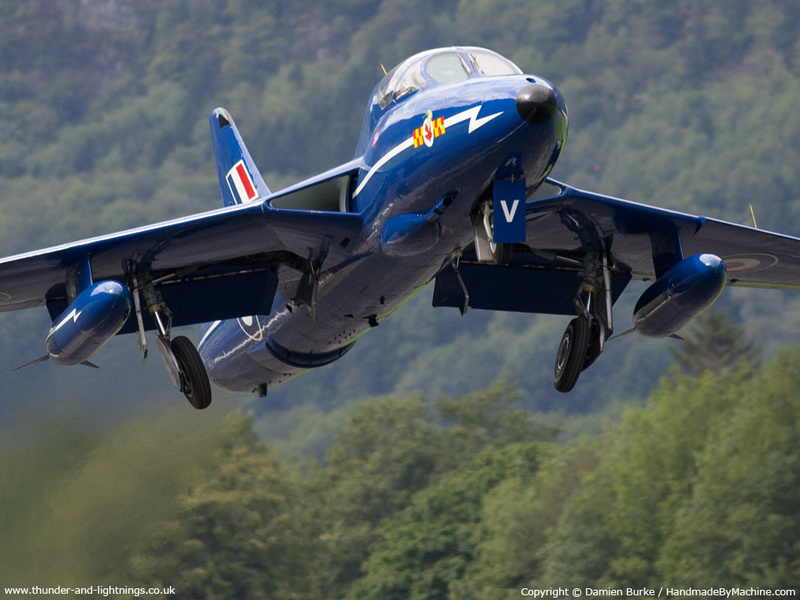 Regarded by many as the most graceful jet design ever to leave the ground, the Hunter is hugely popular aircraft, both with its pilots and with those who merely watch and wish to be a pilot. From the same stable as the legendary Hurricane, the Hunter is from the era when the F-86 and MiG-15 were hot ships and not only outlasted them, but also stayed around longer than many later aircraft. One of Britain's most visibly successful exports, having been operated by no less than 19 countries, the Hunter spent almost 50 years in active front line service and is still earning its keep in military service now. Read on for the history of the Hunter.